I have a fascination with working with leather. As a vegetarian, this can be rather difficult. 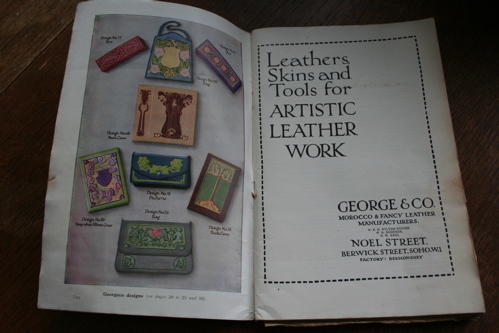 I have resolved this by only working with scrap, re-claimed or re-used leather. 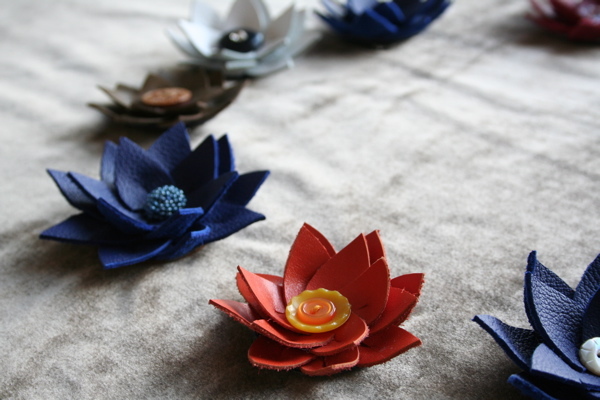 One of the first products I designed and made (when I started being a professional designer) were these leather flower brooches. I made the first from an upholstery leather sample, given to me by an ex-flatmate who was an interior designer. As so often is the case with me, the material came first, I liked it and then worked out the right thing to do with it. 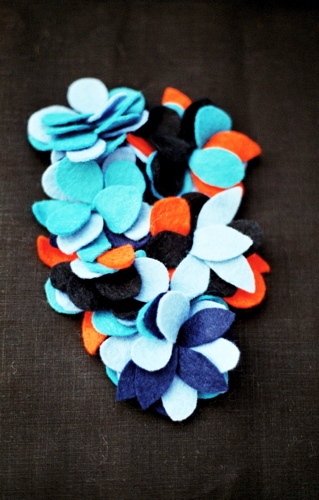 I still love these brooches and always enjoy playing with the colours. 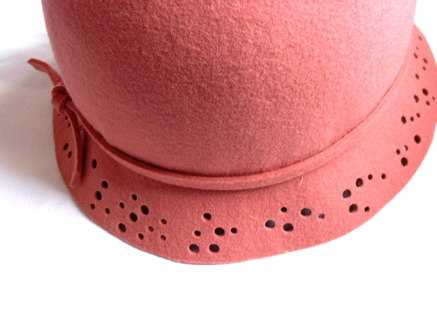 I get scrap leather from the shoe designer Maiko Dawson, who uses great colours! 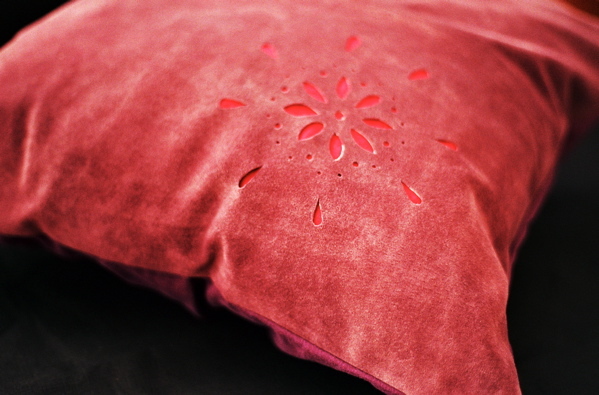 Ages ago, I made a couple of these pierced-work cushion covers using old suede skirts. They have been out for a few exhibitions, but are still in my studio, and continue to inspire me. I’m planning to take this idea somewhere new soon. They really fit into my ongoing love of cutting holes which appears throughout my work. 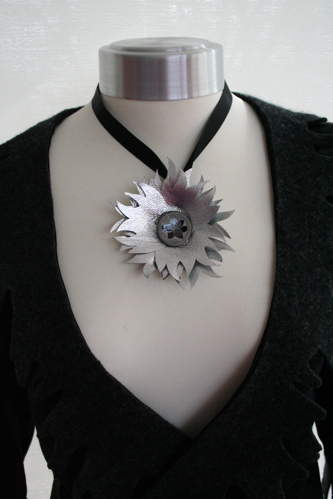 This neckpiece was made for my showcase exhibition earlier this year. Again, it’s something I’m going to expand on. The silver leather was part of a huge pile of designer’s scraps I was given. 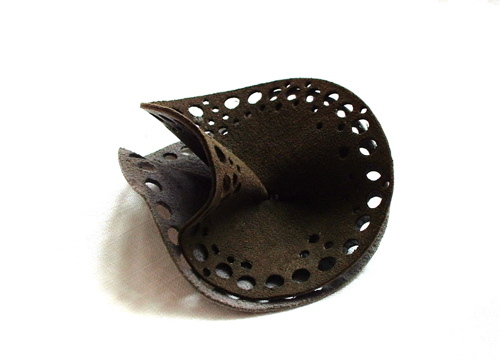 This builds on the original leather flower brooches, and also references my interest in layering which you can see here, here, here and here. 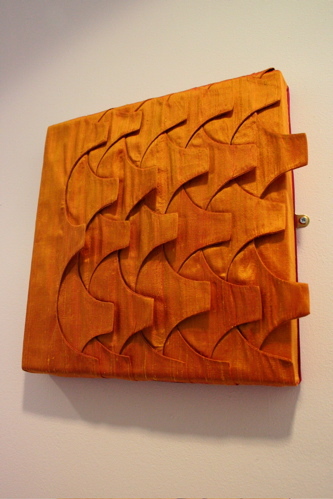 This piece, again made from leather samples, was something I made eons ago and have recently pulled back out of the pile of old ideas. Layers and holes. Perfect! 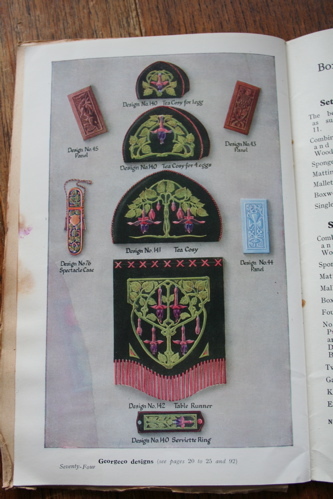 I picked up a great little Art Nouveau booklet about leather work – mostly far too technical for me, but it has some great illustrations of applique, incised and dyed work. 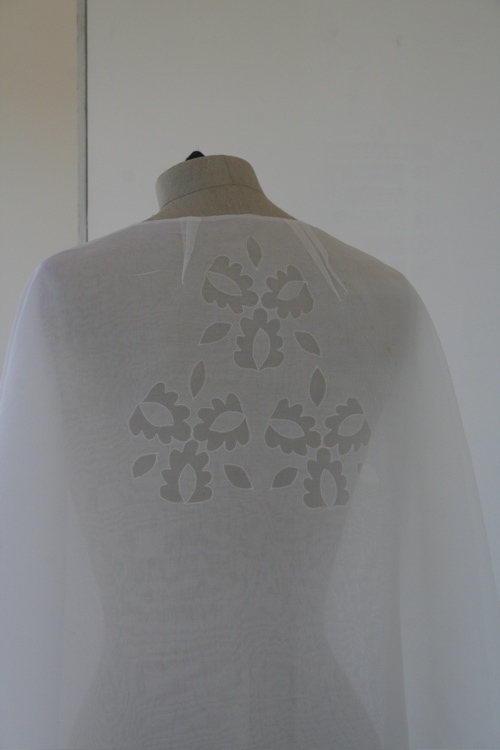 I’m very taken with leather applique and was bowled over by this when I first saw it on display at the V&A. I’ve got plans – though they don’t involve vast amounts of salmon skins!